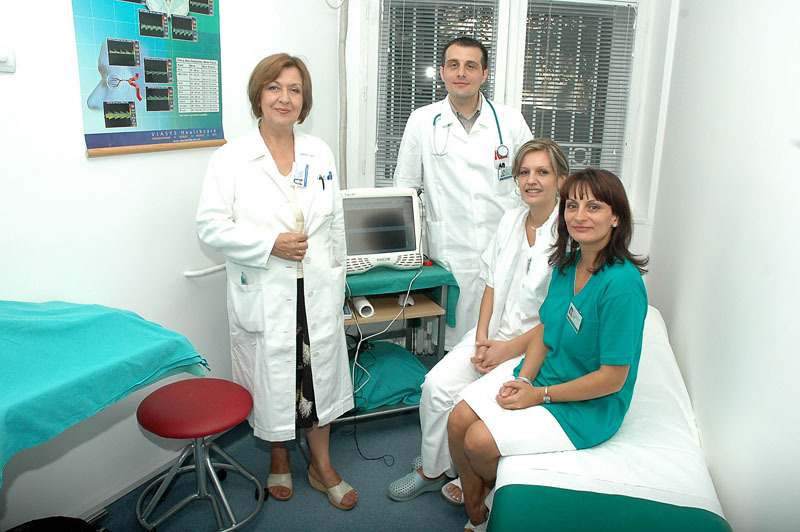 The Laboratory for ultrasound diagnosis of brain disorders has been established in 2003 at the Clinical Center of Serbia Neurology clinic Section II of the Clinical Department of Brain Circulation Disorders and Headaches. The ultrasound laboratory is equipped with state-of-the-art ultrasound units designed for examination of the brain arteries, brain tissue, heart, thyroid gland and soft tissues of the neck, and it also includes portable apparatus intended for examinations performed in bed-ridden inpatients. 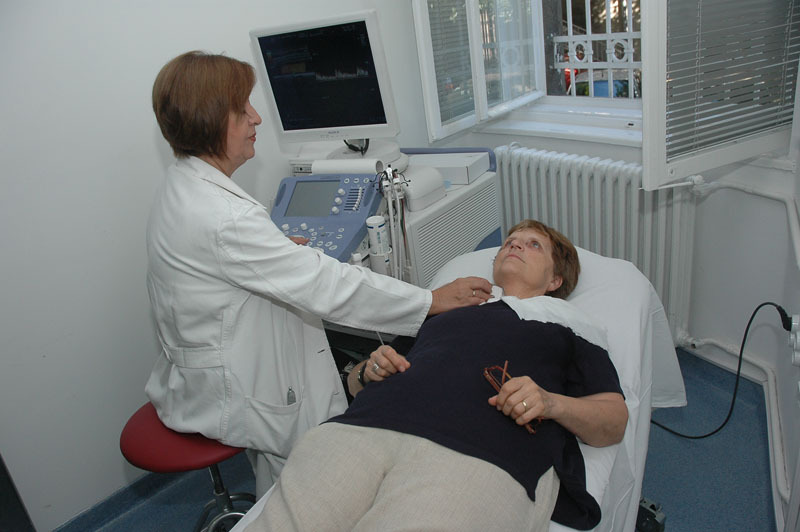 PExamination of the magistral neck arteries supplying the brain with blood – presence of atherosclerotic plaques or other changes, degree of arterial stenosis, arterial blood flow rate, examination of the neck veins. Determination of the carotid artery stiffness index. Transcranial Doppler (TCD)– examination of the brain arteries. Detection of microembolic signals – MES. Detection of right-to-left cardiopulmonary shunt (bubble test). Determination of vasomotor reactivity of cerebral arteriolae. Examination of temporal and other arteries in case of vasculitis. Ultrasound examination of the brain parenchyma – parenchymal echo in Parkinson’s disease and other brain diseases. The above-examinations are performed in patients undergoing inpatient treatment at the departments or those examined in Neurology clinic specialist medical offices. The appointments can be made in person or by telephone at 306-4265.